Warning: the details of this story may be disturbing to some readers. A veteran found guilty of violently abusing his neighbors' huskies was sentenced to nearly a decade behind bars Friday in North County - San Diego Superior Court. David Herbert, 36, an honorably discharged disabled Navy veteran, was arrested in 2017 after a monthslong investigation led police to his home. He was found guilty in August on six animal cruelty charges involving disfiguration and torture related to the brutal treatment of two huskies and the death of a golden retriever. Prosecutors said that he dumped acid on the dogs, gouging out one of their eyes and taking a golden retriever named Lala from another family. That dog has since been presumed dead. Herbert was found guilty of felony animal cruelty in connection with Lala's death. A judge on Friday sentenced Herbert to eight years and eight months in state prison. Herbert was also found guilty on four counts of misdemeanor vandalism and one count of burglary for which he will spend 364 days in jail. An Oceanside police sergeant testified that surveillance video and dog DNA discovered on a bat inside the defendant’s home were key pieces of evidence against Herbert. Surveillance video that showed Herbert's car leaving the cul de sac where Lala lived with her family on the day of her disappearance was a turning point in the case, the sergeant said. When investigators zoomed in the video, the sergeant testified he saw Lala in the back of Herbert's car looking out the window. Lala's owner testified about the last day she saw her dog. An Oceanside police detective testified that police found blood in the defendant's car that matched Lala's DNA. There was also saliva from one of the tortured Huskies found on the defendant's car window. The owner of the huskies choked back tears as she testified about the moment she came home and found her two dogs brutally hurt inside her home. One of Herbert's neighbors also got into a verbal altercation with him about the volume of her TV in a separate incident. About a week later, she walked out to find all the tires of her car slashed. Herbert served six years in the U.S. Navy. Police linked Herbert to six reported criminal cases, where two separate residents of the same home were victimized. Oceanside police first began investigating a series of criminal events happening on Carino Way in April 2017. A family living at the home decided to move after their two huskies were assaulted, police said. Soon, new residents moved into the home with their two dogs. 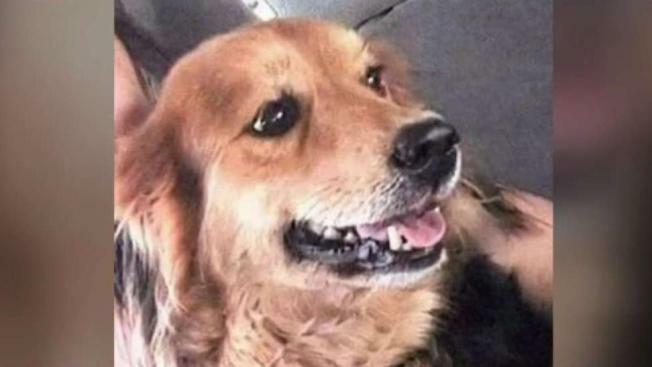 On May 30, police said, the neighbors reported both their dogs missing from their home.